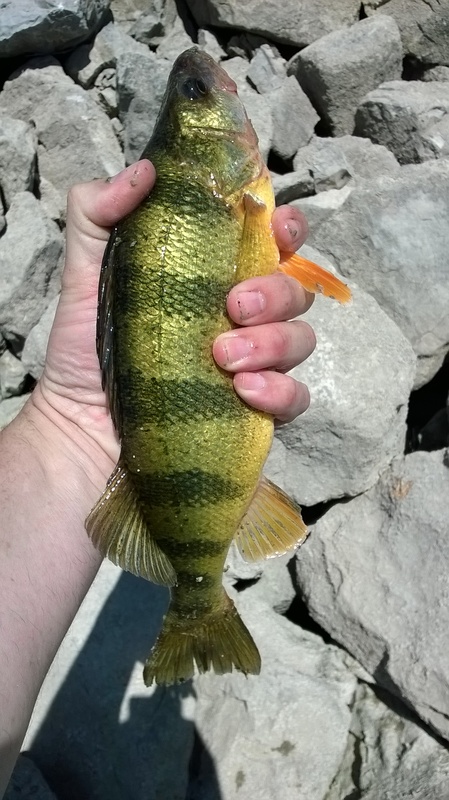 A few weeks ago I was on vacation in Ohio and decided that I would try catching a yellow perch on a fly. I had never caught one before due to the fact that there are none in Kansas waters. 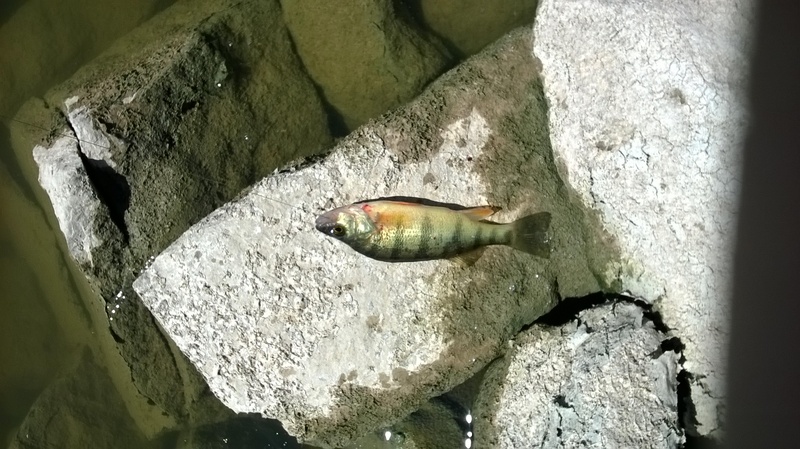 I found out to one of the reservoirs that has a nice population of perch. Before going I looked up a topo map and found a place where the deep water came closer to the bank. I figured this would be my best bet for the middle of the day fishing excursion. I did some reading on the internet and found that black woolly buggers are the fly to use. So I rigged up my 5wt with a fast sinking poly leader and size 4 woolly bugger. It was sunny with not a cloud in sight so I didn’t expect the fishing to be great. After fishing different parts of the water column I located my first fish. Yellow perch on a fly! That was the only fish I was able to catch but I had accomplished what I came for! These fish are easy to catch, put up a good fight, and make for some fine table fare. P.S. My daughter did catch the first perch of the day on a worm! We enjoyed it for supper!